This entry was posted on 10th April 2018 by WoodBlocX. 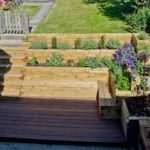 Landscaping: a word that has many negative connotations including cowboy gardeners and boring municipal plantings, but which really only means to create a planted area. 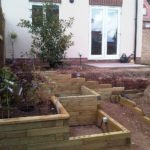 There are two types – soft landscaping is the planting part, and hard landscaping is the creation of patios, paths and beds, and which usually comes first in the process. 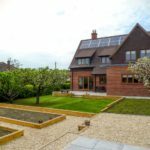 Most domestic gardeners would assume that hard landscaping comes at a heavy cost if you hire someone else to do it, or that it would require a substantial skillset and power tool collection to do it yourself, but that’s just not true! Edging. 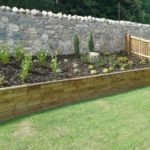 A wooden – curved or straight – edge to lawns and beds really neatens the whole look of the garden, and makes maintaining the edge much easier. 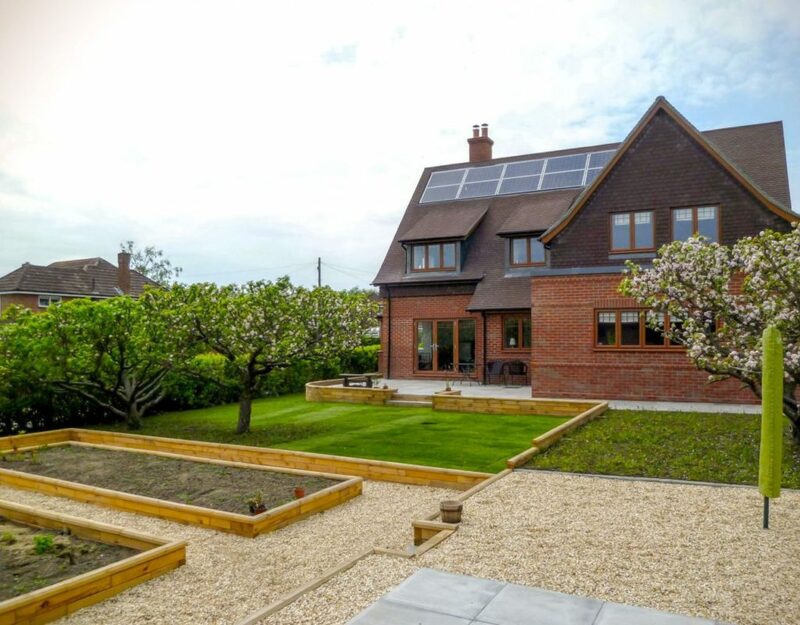 A good edge on a driveway or path also adds kerb appeal, and keeps gravel where it’s supposed to be. Terracing. 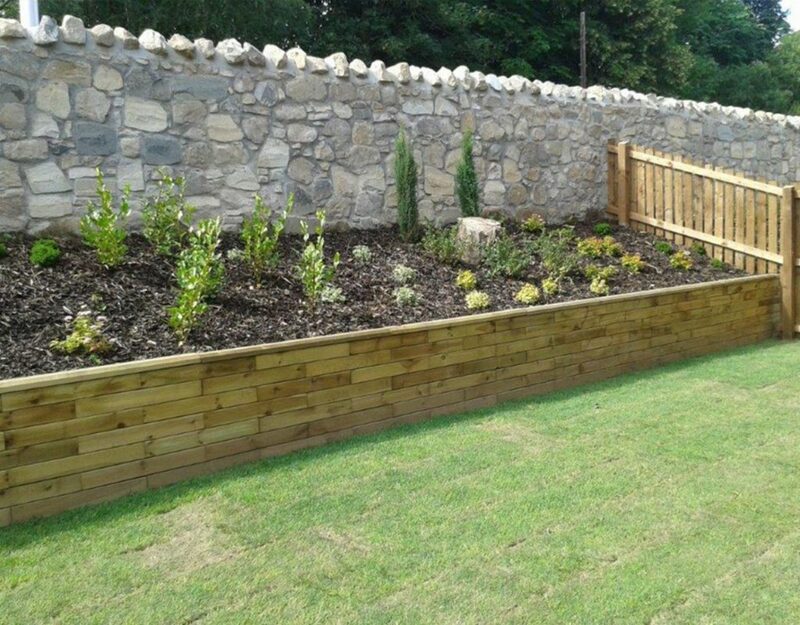 Despite not needing any power tools to build, and being light and easy to handle, the WoodBlocX system can also be used to build strong and durable retaining walls and terracing, bringing flat garden lawns and beds to previously unmanageable slopes. Planters. Rather than a large pot, why not use a wooden planter? 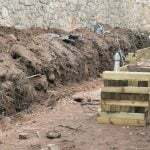 They will not crack like terracotta, and can easily accommodate small trees or large shrubs, which would make a striking centrepiece to a lawn or patio. Alternatively, use them for fragrant plants such as daphnes, lavenders and nemesias in a front garden or by a doorway, where their scent will be most appreciated. Seats. Durable, attractive and comfortable, WoodBlocX seats are a brilliant alternative to benches, which can quickly become rickety and unsafe. Kits range from a simple bench style to seats that incorporate planters at either end. Ponds. 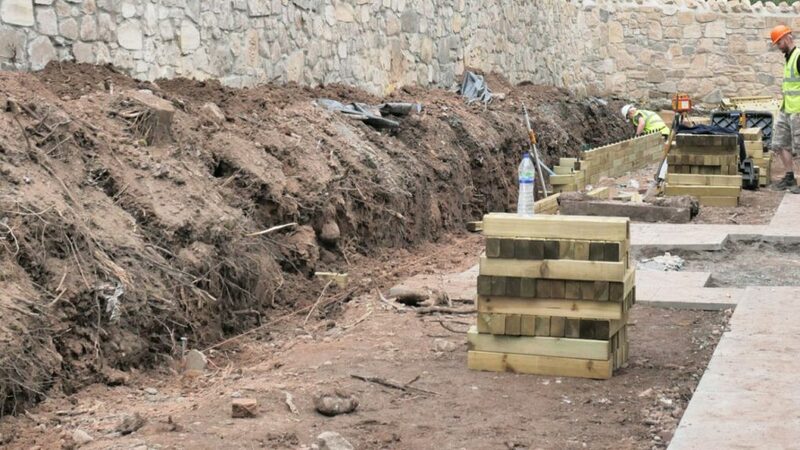 Having a water feature in a garden is perhaps the most advanced kind of hard landscaping, but not one that needs to be difficult, especially when WoodBlocX will even tell you what size liner you will need! 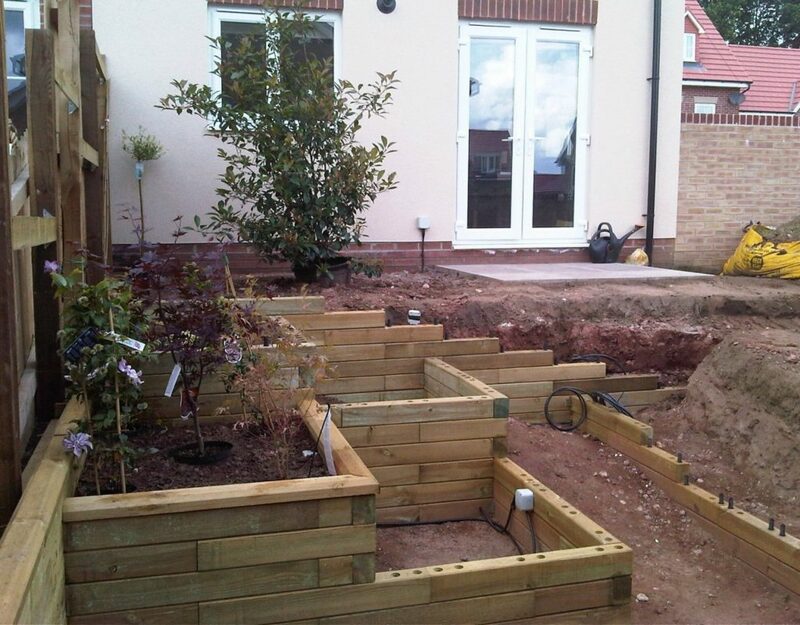 The raised ponds are also a great option if you only have a courtyard, and can’t dig a pond into the ground. 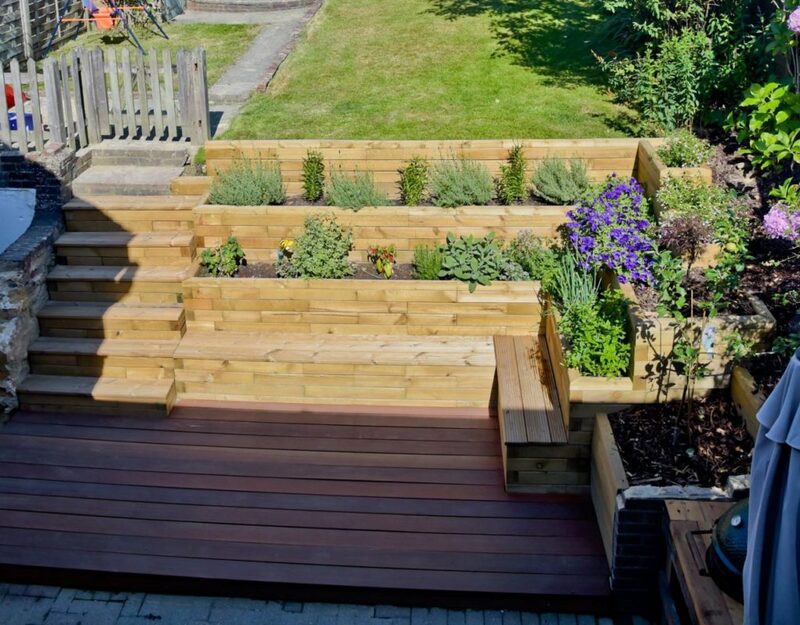 Raised beds bring your flowers and veggies to within easy reach, and into view from windows, and can bring greenery and life to patios and courtyards.